It is going with our expectations. Recent news from the Europe side does not in anyway aid the current situation. It’s like a business partnership involving several friends. And as you already know, MOST business partnerships eventually fail in the business world. The EURO involves 23 countries. So we have 23 business partners in this partnership. And with such big partnership, there is bound to have internal conflicts. Which we are already seeing between France, Germany, Netherlands, Greece, Finland etc. When partners do not see eye to eye in a business, it would most likely eventually close down. Which for the Euro Crisis case = Disband. The recent plummet of the Euro comes as no surprise. The one who is benefiting is the USD. All of the sudden, the USD looks very favourable and safe. WHICH IS ABSOLUTELY UNTRUE just based on the mounting debts in the US, high unemployment rate, near zero interest rate, etc. Which ever the case, the fact is both the Euro and the USD cannot go down together at the same time. One has to go first, and in this era. The Euro goes first. 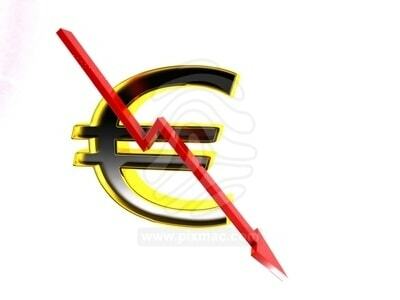 Therefore with the bearish fundamental in the Euro crisis zone. We will still continue to short the Euro with our technical setups. Do u trade the news? No, we do not trade the news. However, we use news as the core fundamentals / basis behind our trades. Eg. Given the current Euro situation, going long on the Euro would be suicidal. Therefore, the answer would be we trade with the main news direction. This is combining fundamental with technical.